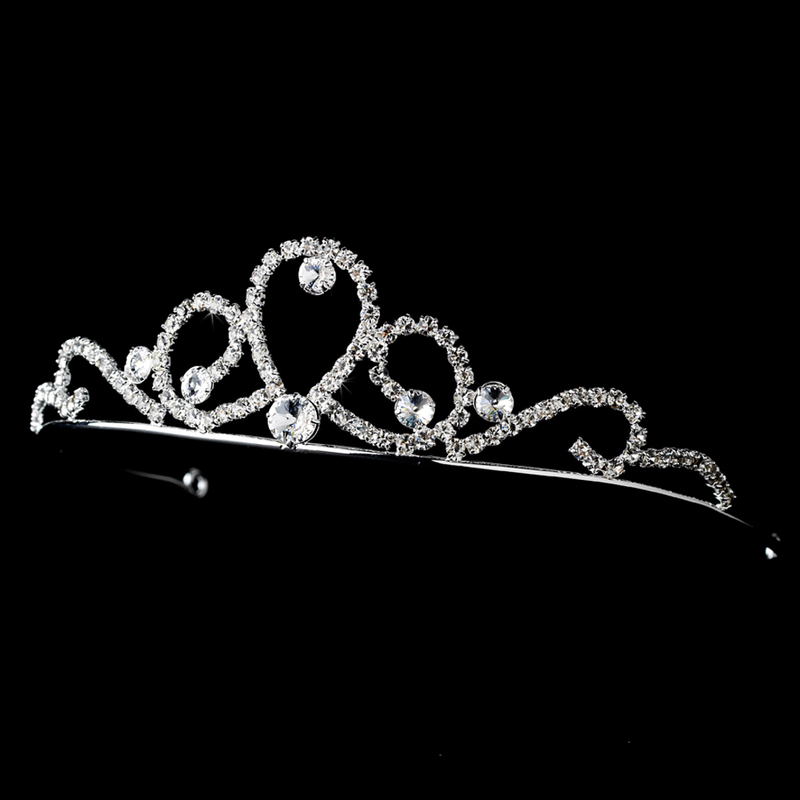 This tiara will sparkle in your flower girl's hairstyle, featuring rhinestones looped in an elegant pattern. The band measures 6" wide with a design width of 1-1/2". Loops at either end allow you to fasten the piece in your hair with bobby pins. 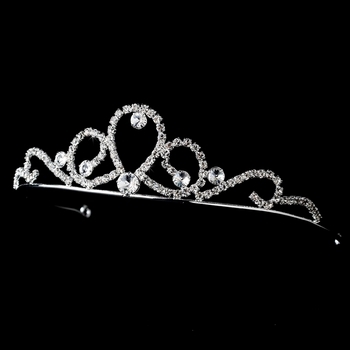 Perfect for any classic wedding. Size: (Ornament) 1-1/2" wide (Band) 6"